There are plenty of first person shooters available for PC gamers. Most of the time, these games consist of instanced and segregated small scale battles. These battles are only significant to the players taking part in them: they don’t hold any value (other than a number on your profile) after completion. Players are essentially doing small duels or skirmishes rather than actually fighting in a war. 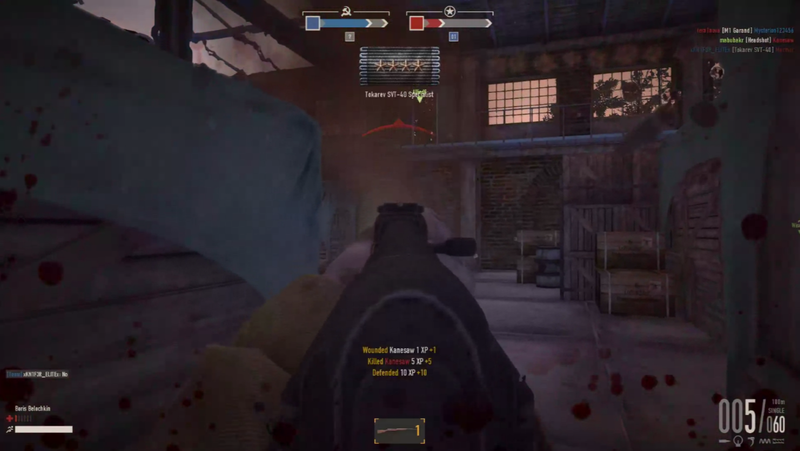 Reto-Moto hopes to change this with Heroes & Generals, a free-to-play Massively Multiplayer Online First Person Shooter (MMOFPS). Read on for my thoughts on the game. We don’t have too many MMOFPS games available so it is always nice to have more options. The last MMOFPS I can remember playing was Global Agenda, so, yeah, it’s been a while… MMOFPS differ from traditional FPS by adding additional elements which persist outside of each individual battle such as progression systems or bigger goals for players to work toward. 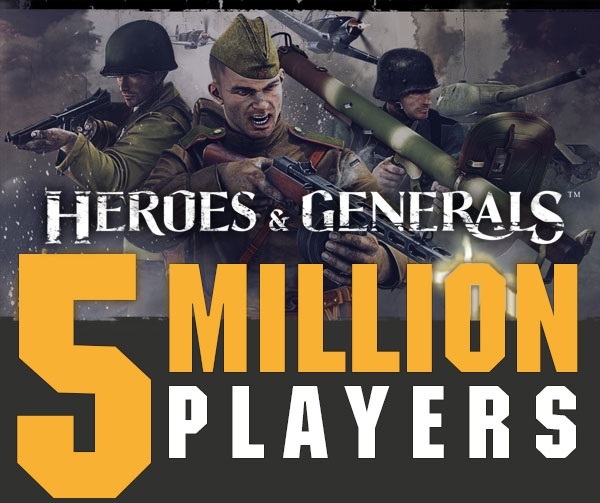 Heroes & Generals is set during World War 2 where Germany, the United States, and the Soviet Union fight for victory in one grand persistent online war. Everything you do makes a difference in this war. Your kills, captures, victories, and defeats all make a difference towards this war; nothing seems pointless when playing Heroes & Generals. Once again, we have a game with a great concept. However, concepts don’t matter if they don’t play well in reality. You can have the best ideas but they are rendered useless when poorly executed. 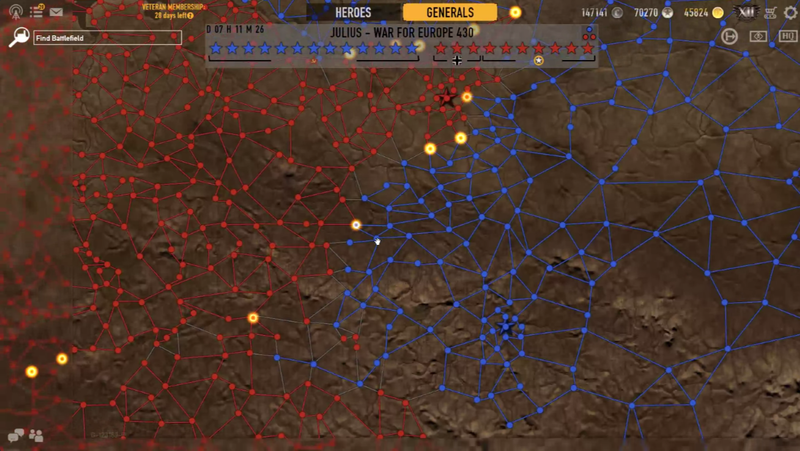 Overall, the grand persistent war in Heroes & Generals works quite well. As the name implies, there are heroes and there are generals. Heroes jump into battles to enjoy some first-person action while Generals play the strategic part of the game, planning out and executing the best plan of action. All players can recruit their own troops who will work toward unlocking additional weapons, vehicles, and upgrades. These troops play the role of heroes, earning salary based on their rank and gaining experience in various categories such as specific weapon expertise, combat movement, and defense. As expected from an MMOFPS, minimum levels are required for each unlock in their respective categories. Just having enough credits (or the premium currency, gold) is not enough – your troops must have enough experience to wield better equipment. Everything used by troops is owned by troops. This means that if you are looking to spawn in vehicles such as armored vehicles, tanks, or planes, your troops must have enough experience and own them. As long time readers will know by now, I hate having to unlock additional items which cause imbalance for fights before they even begin. For this game, I am more accepting as it makes sense for an MMOFPS – one of the main features of such a game is a progression system. You will have a lot to work towards with there being 60+ weapons and 65+ vehicles. After setting up your troop(s), you can jump right into battle. In order to ease players into the game, different game modes are restricted based on your player level. 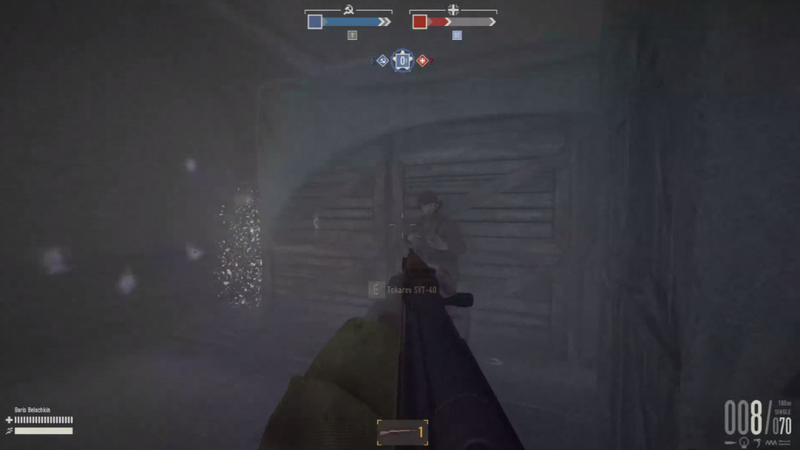 New players start out with Encounter where infantry squads fight in close quarters to secure and hold the objective. This game mode features small maps which should always be action packed as both sides run towards a central objective. 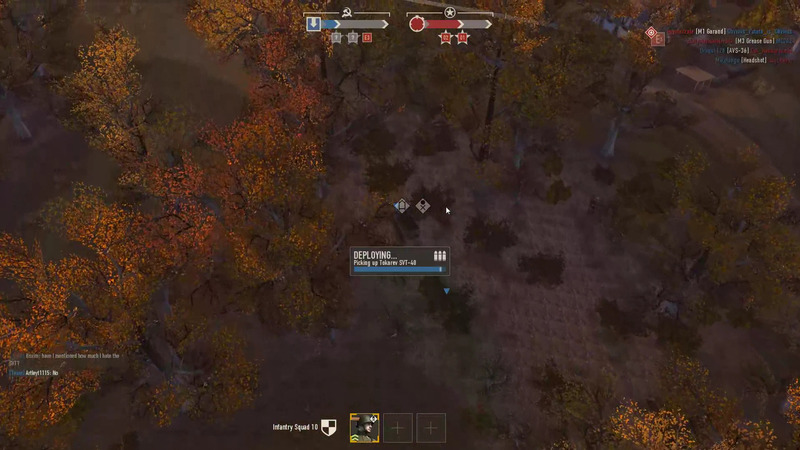 After getting more familiar with the game, you can move on to Skirmish which plays just like Encounter but on slightly larger maps with multiple objectives. Skirmish also allows recon and armor squads to join the battle. After progressing through the game even more, you can jump into Assault on the largest maps featuring open terrain, mountains, forests, rivers, and close quarter urban areas. Assault also adds in the ability for paratroopers and fighter squads to join the battle. In this game mode, both sides work to either defend or attack objective points. Overall, the first-person shooter portion of the game is quite fun. However, it is nothing special. There are other first-person shooters out there which play much better and are more enjoyable. The controls are pretty intuitive but the animations and sound don’t do the game any justice. Even with the grand war going on, it doesn’t feel like you are actually in the midst of battle. Proper animations, environment, and sound are essential to help players immerse themselves into the war. Unfortunately, even if your actions contribute towards a grand war, it doesn’t feel like you are actually in war. Moving on from the first-person shooter to the strategic side of the game, it doesn’t get much better. It’s nice to have the option to decide which areas get attacked and approach taking over the continent systematically but it feels underwhelming. As a General, you work towards creating assault teams which provide various resources. These resources allow Heroes to ‘spawn’ into battle and work towards achieving victory in their war. All in all, the strategic portion is nice to have but it doesn’t feel like a large part of the game. It feels like the World of Warcraft Garrisons. These garrisons give players something extra to do while playing through the ‘main’ game but it remains as ‘something on the side’. Rather than being thrown into the game without any background, it would be nice if the game slowly introduced new players to the background and overall objective of their faction. A simple tutorial or background story can help make this grand war a more central feature of the game rather than something hidden under the ‘Generals’ tab. Why are we fighting these battles? What is the role of each faction? Who are the Heroes? Who are the Generals? All of these questions should be answered for new players in order to immerse them into this grand war. There are so many points to wage war on! Heroes & Generals is not a bad game but it isn’t great either. It can serve as a nice niche game for some gamers, especially those who love working towards achieving one main goal with their faction in a tactical fashion. Like ARMA, the game can be quite fun with a group due to the vehicles and intrinsic strategies. However, I will stick with other FPS games and just focus on climbing through the ranks with their respective competitive modes. The game launched after 2 years in early access by working closely with the community. This has led to a game created by the community, for the community. For this reason, there will always be a good amount of dedicated players showing loyalty to the game but I don’t see it taking off in any major way. I feel that additional polish in terms of animation and sound while also emphasizing the grand persistent war more can help change this. The game doesn’t look too bad but the animations could use some work. On the same note, the environment doesn’t feel very ‘alive’ or like it is war-ridden. The controls feel intuitive and I never felt like something happened which I didn’t do. I wish there were more options to be able to look at and customize key bindings, I ended up having to try random buttons to figure out how to do certain actions. There are a good amount of game modes and maps available. However, these modes are nothing special and can be found in many other games. The grand persistent war helps add more to the game but you don’t really know it’s going on. A simple introduction to the game and how everything works together would be nice. I feel like if I didn’t spend any time reading the wiki and the game’s official website, I would never know about the grand war until much later into the game. There are a lot of options available to customize your troops and assault squads. You can recruit multiple troops, work to train various stats, purchase new weapons, vehicles, and upgrades. 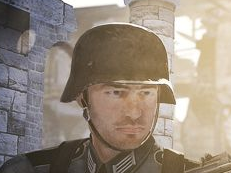 There is a lot of customization in Heroes & Generals. While I don’t see the game taking off on a massive scale, the players who have stuck around through the 2-year early access truly love the game. While there is no voice chat available, you will still see players role playing and working together in all game modes. It’s nice to see players honking at each other to get them all in their vehicle.